In college literature classes, we learned that there are about seven basic themes in all of literature and that nearly all great novels incorporate all seven of them. One of these themes is “the fall” or “fall of man.” F. Scott Fitzgerald’s second novel, The Beautiful and Damned (published in 1922), is an example of the theme of “the fall.” It concerns the young and doomed (by his own hand, by his own frailty) fictional character known as Anthony Patch. Anthony is young in the early years of the twentieth century. He is of the privileged class. He attends Harvard University and is the heir to a considerable fortune, being the only living relative of his grandfather, Adam Patch. We don’t learn how Adam Patch made all his millions, only that he is a “reformer.” From that word, we can deduce that he’s moralistic and Puritanical. Anthony meets a debutante named Gloria Gilbert and falls in love with her. Gloria’s beauty is the wellspring of her shallowness and self-centeredness. Her beauty and desire for social status are all she has going for her. Men are, of course, drawn to her, but that’s because they’re shallow. We know that when she gets older and her looks begin to fade, she will be finished. Anthony persuades Gloria to marry her; she is easily persuaded because one day he will be very rich. The two of them are happy for a while, at least a few years, but Anthony discovers that marrying Gloria was the worst thing he ever did. It seems that old Adam Patch will never die. Anthony could get a job, but all he does is wait around for years for the big day when the old man dies and leaves him all his money. Anthony and Gloria are a socialite couple. They throw parties (or attend parties that other people give) every night. Drinking all the time, Anthony becomes an alcoholic, if he wasn’t already one. Gloria and Anthony have only limited money that they get from their investments but—not to worry—when Anthony gets his millions all will be well. The longer they wait for the money, the more they get on each other’s nerves. They begin to hate each other and their marriage deteriorates. One night in summer old Adam Patch decides to pay an impromptu call on his grandson and his wife at the house they’re renting. On that night, Anthony and Gloria happen to be “entertaining” guests with drinking, dancing and raucous fun. Adam Patch is appalled at what he sees (people drunk out of their senses, dancing in their underwear). He dies soon enough, but when he does Anthony discovers that he has disinherited him, leaving all his money to servants. Anthony contests the will, being forced to retain an expensive lawyer, but he isn’t given much hope that the case will go his way in court. So, Anthony and Gloria wait out a lengthy court case, with no reason to believe they will win it in the end. Anthony continues his drinking, his money problems get worse, and he and Gloria become more alienated from each other. While World War I rages, Anthony is drafted into the army. He ends up in a miserable training camp in Mississippi and it’s while he’s there that he begins an affair with a local girl named Dot. For Anthony it’s just a little fling while he’s away from home, but for Dot it’s all or nothing. She proclaims her love for him, suggesting that she might kill herself if for any reason he should happen to leave her. She knows that Anthony has a wife back in New York, but she doesn’t care very much, believing that he will choose her (Dot) over his wife. It’s while Anthony and his unit are waiting to be shipped to France that Germany surrenders and the war ends. Dot isn’t giving Anthony up without a fight, though. After Anthony’s stint in the army, he returns to Gloria and things only continue to get worse between them. The suit he filed to contest his grandfather’s will isn’t going anywhere and Anthony and Gloria are down on their heels. They don’t know what they are going to do for money. Neither one of them will consider going to work and earning any honest dough. They drink and quarrel, as their friends and their hopes abandon them. Anthony becomes completely unraveled and degrades and humiliates himself. But, wait a minute! The court case is still pending! Is there any chance, even a slim one, that it might still go Anthony’s way, since public sentiment has turned against “reformers” because of Prohibition? Almost more than any other American writer of the twentieth century, F. Scott Fitzgerald was a chronicler of his age, the World War I era, the years leading up to the war, the 1920s, Prohibition, and the “Jazz Age.” We get a vivid impression, though his books and stories, of what it was like to be alive in those days that were so different from our own. Of course, a hundred years’ passage of time has romanticized the era. Maybe in 2116, people will have a romanticized view of 2016 because they didn’t live it and couldn’t possibly know what it’s like with its leaf blowers (I hear one now), cell phones, microwave ovens, computers and political lunacy. The Beautiful and Damned, if not a great a novel, is certainly a very good one, with a strong story, vivid characters and a strong sense of time and place. Where else could we learn about New York “café society” in the years before, during and after World War I? (Through Fitzgerald’s descriptions, we see the New York streets, the park, the buildings and the trees around Anthony Patch’s apartment.) The story of Anthony Patch and his lovely bride Gloria, we are told in background material, parallels the real-life story of Fitzgerald’s tumultuous relationship with his wife, Zelda Fitzgerald. Plenty of heartache to go around. Posted in Uncategorized and tagged Allen Kopp, capsule book review, F. Scott Fitzgerald, The Beautiful and Damned. Bookmark the permalink. More than any other writer of his generation, F. Scott Fitzgerald (born 1896) chronicled the Roaring Twenties, the Jazz Age. He wrote four solid novels (one of which, The Great Gatsby, is an acknowledged masterpiece) and dozens of short stories that appeared in publications such as The Saturday Evening Post and Esquire magazine. In the 1930s, motivated by the need for money (his daughter at Vassar College and his wife in a mental hospital), he went to Hollywood to lend his talents to writing screenplays for the movies. 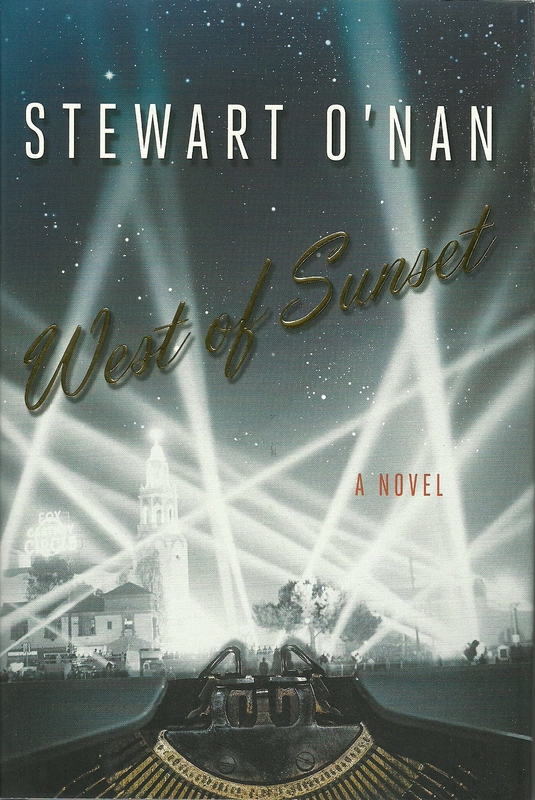 West of Sunset by Steward O’Nan is a fictionalized (a novel based on real events and real people) account of Scott Fitzgerald’s time in Hollywood. Once in Hollywood, Scott installs himself at the Garden of Allah, an aggregation of villas built around a Moroccan oasis presided over by the mysterious star of the silent screen, Alla Nazimova (whom he never sees). He immediately begins hobnobbing with the famous: Humphrey Bogart and his booze-addled girlfriend (soon to be wife) Mayo Methot, Robert Benchley, Joan Crawford, Ernest Hemingway, Marlene Dietrich, Dorothy Parker and her husband and writing partner Alan Campbell, and on and on. Will his reputation as a successful novelist get him special treatment in the movie industry? Not on your life—his role as writer at Metro-Goldwyn-Mayer is largely that of studio hack. He’s given assignments that other writers have had before him or that are taken away from him and given to somebody else before he has a chance to make a difference. In a year or so, he garners only one screen credit (Three Comrades), but works (uncredited) on scripts for other movies, including, The Women (which he despises), Marie Antoinette, A Yank at Oxford, Rebecca and Gone With the Wind (which he fully expects to be a piece of crap and a huge flop). In Hollywood Scott enters into an adulterous love affair with Sheilah Graham (real name Lily Shiel), a transplanted British girl from humble beginnings who learns all the refinements she needs to become a successful Hollywood journalist/gossip columnist. Sheilah knows about Zelda, Scott’s wife, the fragile Southern belle who has suffered from mental illness of one kind or another for her entire adult life, and knows not to expect anything from Scott. (If nothing else, she’s a realist.) Scott and Zelda also have a college-age daughter, Scottie, who doesn’t get along very well with her volatile mother. Scott and Zelda have “grown apart” during her years of hospitalization, but he tries to remain true to her in his own way and spends his vacations with her in her uncomfortable presence. Of course, Zelda and Scottie know nothing of Scott’s love affair with Sheilah. Where is all this going to end? Is he going to ask Zelda for a divorce so he can marry Sheilah? Don’t count on it. Like many writers and creative people, Scott has a “drinking problem” that at times he doesn’t seem to be able to control. He drinks when he knows he shouldn’t, which is the hallmark of the alcoholic. He just can’t seem to function without the booze but, paradoxically, he can’t function very well with it. His drinking causes him to get fired from at least one movie writing assignment, after which he is forced to look for any work he can find to meet his debts. He ends up taking a hack job for a “B” picture for Paramount. Not an enviable position for a man of his talent or stature. As he enters his forties, the prime of life for most men, his health suffers from his excesses and we know, if it’s not readily apparent to him, that he doesn’t have long to go. Scott’s conventional love affair with Sheilah Graham is the least satisfying aspect of West of Sunset. I found crazy Zelda much more interesting than prissy Sheilah. The scenes where Scott spends his uncomfortable “vacations” with Zelda and his daughter Scottie are some of the most compelling in the novel. The Hollywood movie lore of the thirties is fun (the one scene early in the book with Ernest Hemingway seems pointless), and dialogue with Bogie and Mayo around the pool at the Garden seems authentic. (As well as we know Bogart from the screen, we can easily imagine him saying lines such as, “Here’s to our future ex-wives.”) Any die-hard movie fan will know Mayo Methot from the movies she made for Warner Brothers in the 1930s. The way she appears in her movies is exactly the way she comes off in the book. (How many wives did Bogart have after Mayo?) If you are a fan of Fitzgerald and have a particular interest in his private life and in 1930s Hollywood in general, you will find West of Sunset a satisfying reading experience, well worth the time. Posted in Uncategorized and tagged F. Scott Fitzgerald, Hollywood, Stewart O'Nan, West of Sunset. Bookmark the permalink. F. Scott Fitzgerald was, among other things, a writer of magazine stories. He wrote the seventeen Pat Hobby stories in this collection for Esquire magazine. The stories were published for seventeen consecutive months between January 1940 and May 1941, the last five appearing after Fitzgerald’s premature death at the age of 44 in December 1940. And it wasn’t for love of writing that he wrote them or for “art.” He wrote them for the money they brought in. As the thirties come to a close, Pat Hobby is a studio hack, a screenwriter who reached his peak in the Silent Era and has been on a downward slide ever since. He drinks to excess and has three ex-wives. Where once he was a high-flyer pulling down three thousand big ones a week, now he is lucky to get two or three weeks at two hundred and fifty a week doing rewrites. Whatever writing talent he ever had is gone. He still dishes out a line of malarkey, though, and can bluff his way through almost any situation. Give him somebody he wants to impress and he impresses them; that is, if they don’t already know what he’s like. Fitzgerald was drawing on his own experiences in Hollywood when he wrote the character of Pat Hobby. Fitzgerald himself, of course, drank to excess, had plenty of marital problems with his wife Zelda, and worked on the scripts (without garnering screen credits) for several movies of the era, including Marie Antoinette, The Women, and A Yank at Oxford. He co-wrote the screenplay for the 1938 Robert Taylor movie Three Comrades, based on a novel by Erich Maria Remarque. After writing his novels The Great Gatsby, This Side of Paradise, and Tender is the Night, he was definitely beneath himself in Hollywood. 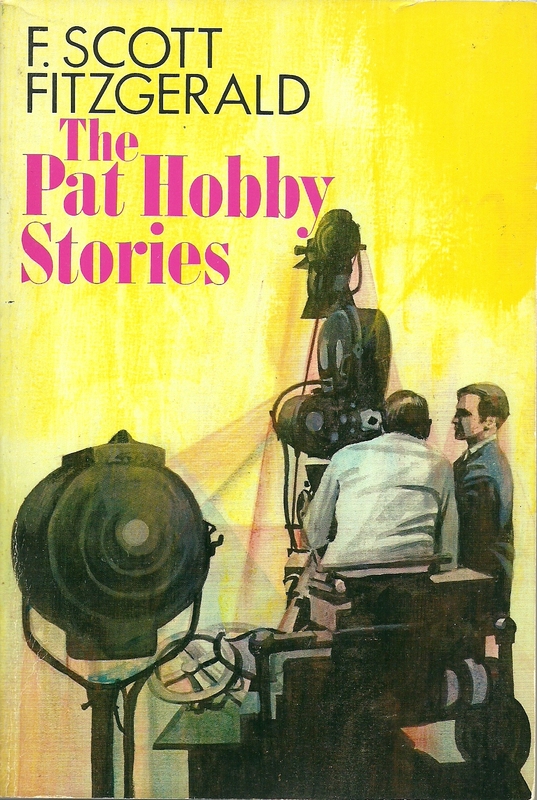 Fitzgerald himself wanted the seventeen Pat Hobby stories to be collected in one volume. If they don’t exactly make a novel, they do make a cohesive whole, and if they lack literary merit, they at least provide a glimpse into the mind of one of America’s most celebrated writers at the end of his life. Posted in Uncategorized and tagged Allen Kopp, F. Scott Fitzgerald, The Pat Hobby Stories. Bookmark the permalink. More than any other American writer, F. Scott Fitzgerald chronicled the age he lived in, especially the 1920s. He coined the term “Jazz Age.” If you want to know what it was like to live in the twenties, with its good times, easy money, Ivy Leaguers, extravagance, sexual freedom and booze in spite of Prohibition, read the writings of F. Scott Fitzgerald. In his relatively short time on earth (44 years), he wrote four completed novels—one of which, The Great Gatsby, is among the three or four greatest American novels of the twentieth century—and dozens of short stories, which were mostly written for magazines. Babylon Revisited and Other Stories is a collection of ten of F. Scott Fitzgerald’s short stories. Some of the stories in the collection are much longer than conventional short stories, which should run about 5,000 words or less. If a story is much longer than that, I think it technically qualifies as a novella. This collection runs over 250 pages. With ten stories, that’s an average of 25 pages per story. One story in the collection, May Day, is 50 pages. I think the shorter stories are better plotted and more memorable. The best and most famous story in the collection is, of course, the story for which the collection is named, Babylon Revisited. It was written in 1931 and is about a man, Charlie Wales, who has passed through the 1920s but not unscathed. He is a reformed (or trying to reform) heavy drinker who used to spend money freely when he had it. He had an unhappy marriage to a woman named Helen. Charlie and Helen had a daughter, named Honoria, who is nine years old when the story takes place. Helen has died of “heart trouble” and Honoria lives with her aunt (Helen’s sister, Marion) and Marion’s husband, Lincoln, in Paris, since Charlie is seen as too irresponsible to care for her and give her a proper home. Now that Charlie has a steady job and has his drinking habit under control, he wants to take Honoria back and have her live with him. He must, of course, prevail upon snooty Marion, who doesn’t like him, to give up Honoria. This isn’t going to be easy since Marion has legal custody of Honoria and still sees Charlie as an irresponsible drunkard. When he just about has Marion convinced to give up Honoria, his past catches up with him in the form of two drunken profligates he used to associate with, reawakening Marion’s doubts about him. Other memorable stories in the collection are The Ice Palace, about a girl from the warm, sunny South who wants (or thinks she wants) to marry a boy from the cold North. When a frightening episode occurs when she’s visiting her boyfriend’s home in the icy North, she calls off the marriage. A Diamond as Big as the Ritz is the not-so-happy story about the richest man in the world who owns a mountain that is in reality a diamond. He and his eccentric family live in splendor, apart from the rest of the world. When his son takes a classmate from boarding school home with him for vacation, the visiting boy comes to know this family first-hand. What he discovers about them isn’t pretty. Absolution is about a “beautiful” eleven-year-old boy who comes from a strict Catholic family. He is confused about his religion and believes his sins are much graver than they really are. When he confesses to an old priest—the priest is struck by the “beauty” of the boy’s eyes—he finds the priest is just as confused as he is and isn’t capable of offering him any comfort. The Freshest Boy is about a boy named Basil Lee who is attends a fancy boys’ prep school. His family can barely afford to send him there and he is very unhappy because he is so unpopular and disliked by the other boys. It seems that everything he does makes him even more hated. On a trip to New York to see a show, however, he has a revelation about his life. When he has a chance to leave prep school forever and live in Europe with his mother, he decides not to take it. The shortest story (five pages) in the collection is The Long Way Out. It’s about a woman who has had a nervous breakdown and is a patient in a mental hospital. She is waiting for her husband to come and take her on a trip, but he has been killed in an accident on his way there. The nurses don’t want to tell the woman her husband is dead, so every day they tell her he has been delayed one day but will be there the next day. The woman believes that the arrival of her husband is just one day away. Always one day. 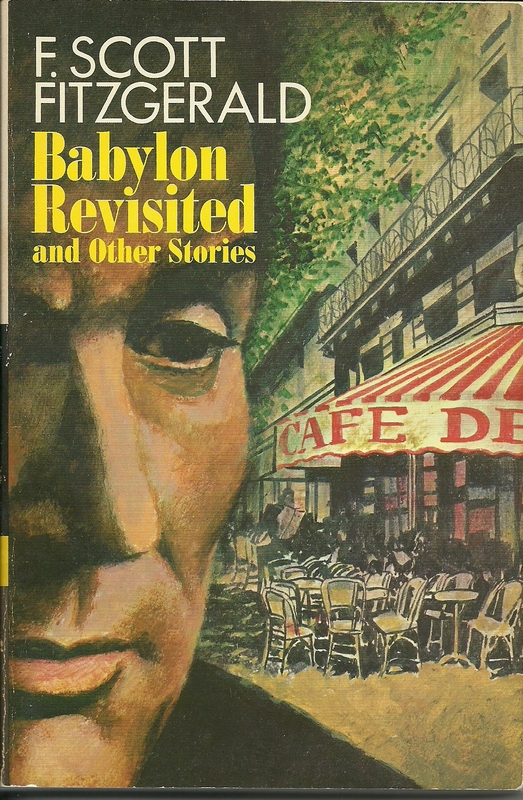 Babylon Revisited and Other Stories is a good sampling of F. Scott Fitzgerald’s short fiction. It gives the reader a sense of what he was about as a writer. There are many more stories to be had for those who are interested in delving further and, of course, there’s always The Great Gatsby, which, as a novel, is about as good as it gets. Posted in Uncategorized and tagged a capsule book review, Allen Kopp, Babylon Revisited and Other Stories, F. Scott Fitzgerald, short stories. Bookmark the permalink.